Note: Requires 2 hours time to chill the cookie dough. In a large bowl, mix the cream cheese and butter. Chill the dough for 2 hours (in order to firm up the dough so you can roll it into balls). Roll the chilled dough into tablespoon sized balls and then roll them in powdered sugar. Bake for 12-13 minutes (my oven took 13 minutes). Let them rest for 1 minute and then remove them to a cooking rack. 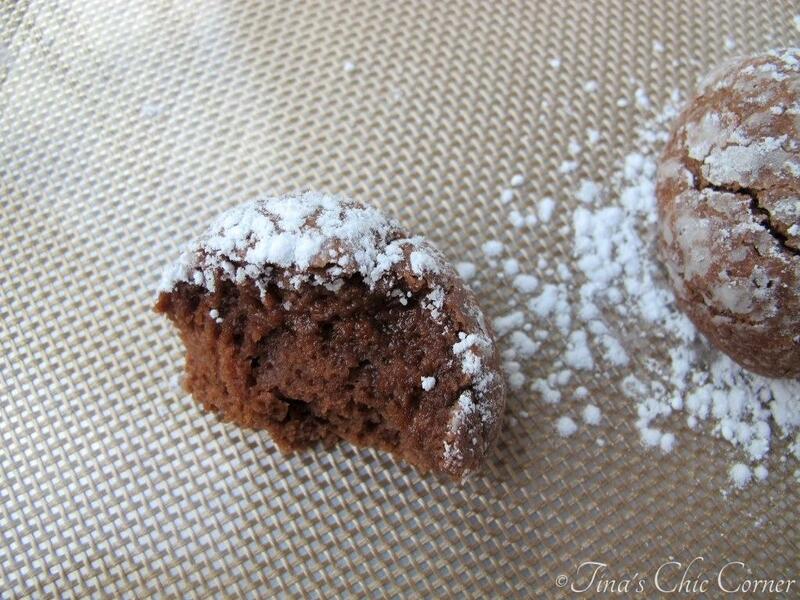 Once they are cooled completely sprinkle with more powdered sugar, if desired. Store them in an air tight container at room temperature or freeze them in a freezer friendly bag. 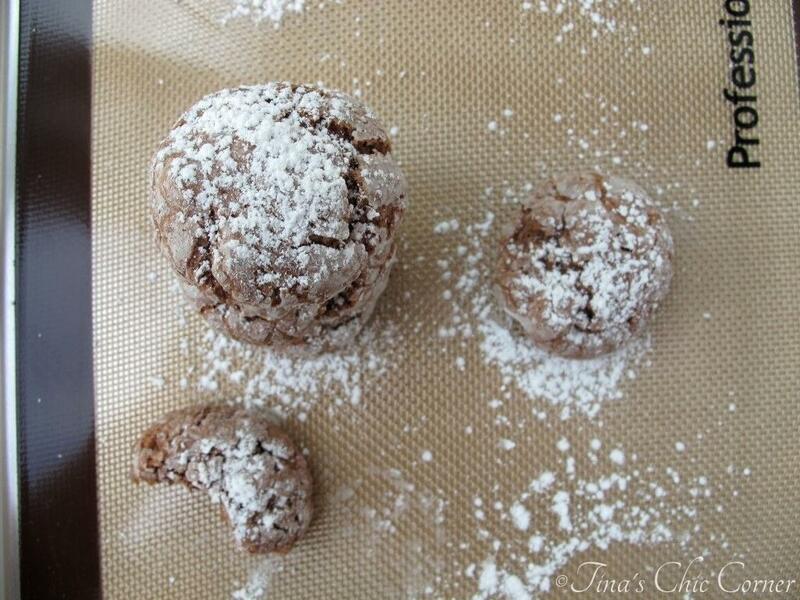 If you freeze them, sprinkle with the additional powdered sugar when you are ready to serve. I’m all for a simple cookie and this one is just that. Mix the ingredients. Check. Chill the dough. Yes, you do have to chill the dough so that you can roll the cookies. 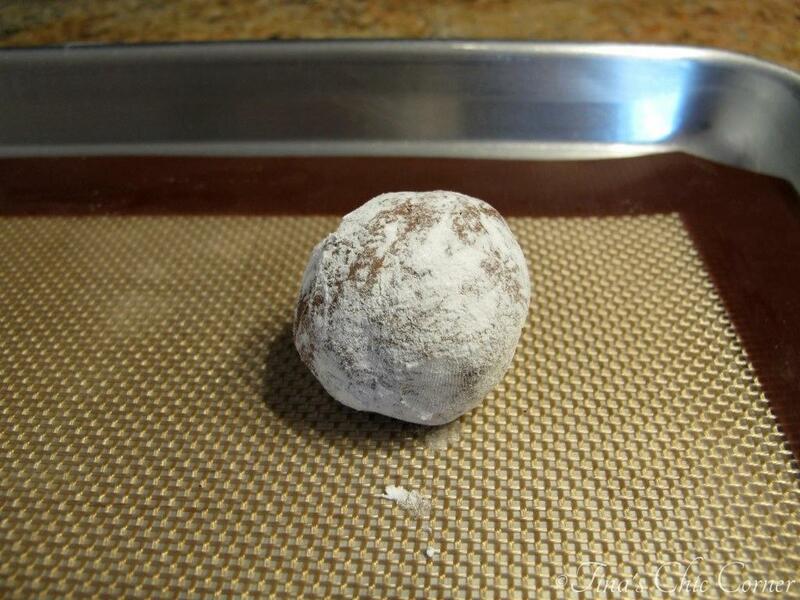 Roll the dough into tablespoon sized balls and then roll them in powdered sugar. Mmmmm, powdered sugar. Make sure to keep the dough in the fridge in between the batches that are being baked. 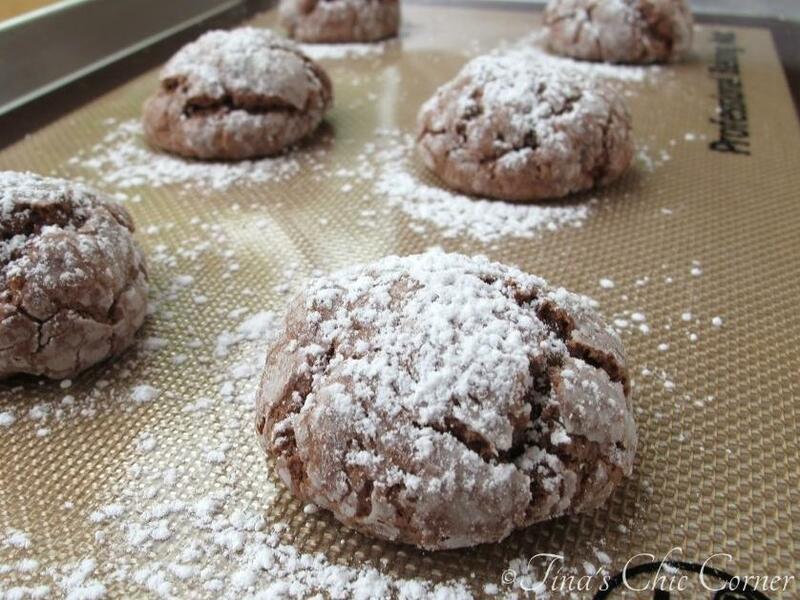 These cookies remind me of traditional crinkle cookies, but these are 100 times better. I had a little assistance today from a boxed cake mix to create this mouth watering treat, which is why they came out with a wonderful cake-like texture. 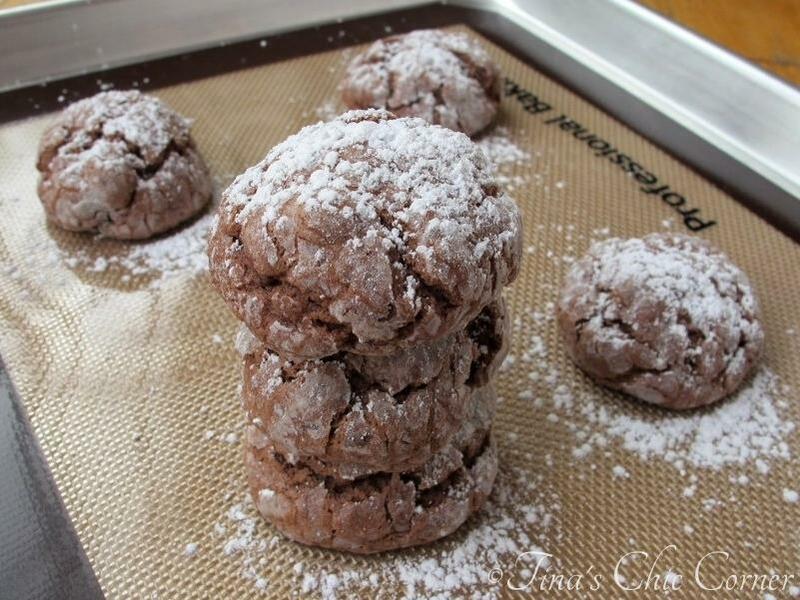 I am all about soft and thick cookies and these are that for sure! 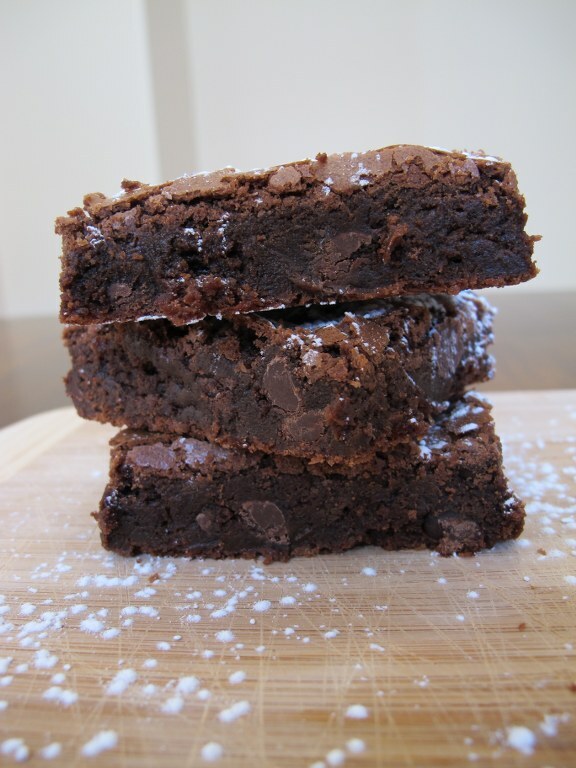 They are so ooey gooey like fudgy brownies. Yum yum! 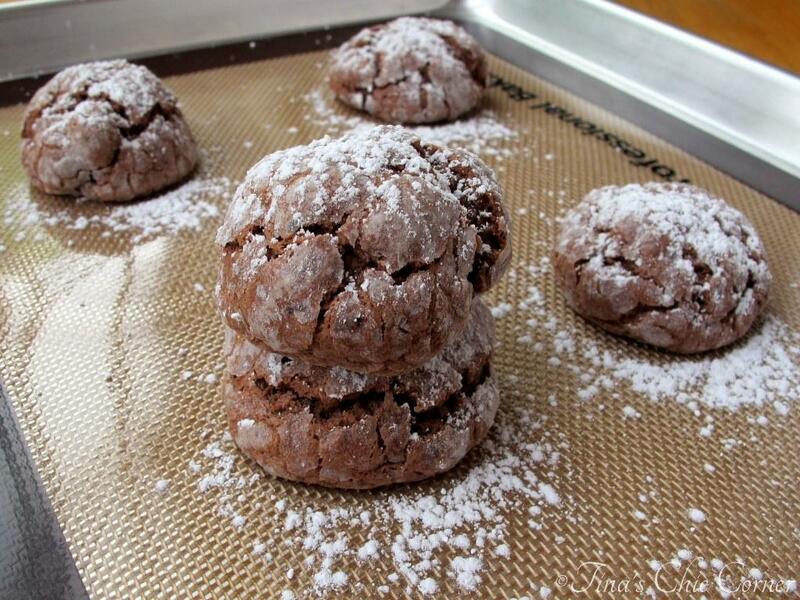 Be careful not to over bake these chocolate pieces of heaven. They are intentionally gooey on the inside so they will feel soft to the touch when you pull them out of the oven. If you know me, you know my affection for powdered sugar. Of course I had to add more after they came out of the oven. It’s not required, but why not? It’s not like not adding it will suddenly make them healthy. I will definitely be making these sinful chocolate gooey cookies again, but next time I will add some fun goodies to the party! Here are some other chocolate goodies you may enjoy. Like some Fudgy Brownies. Or some Chocolate Chip Macadamia Nut Cookies. 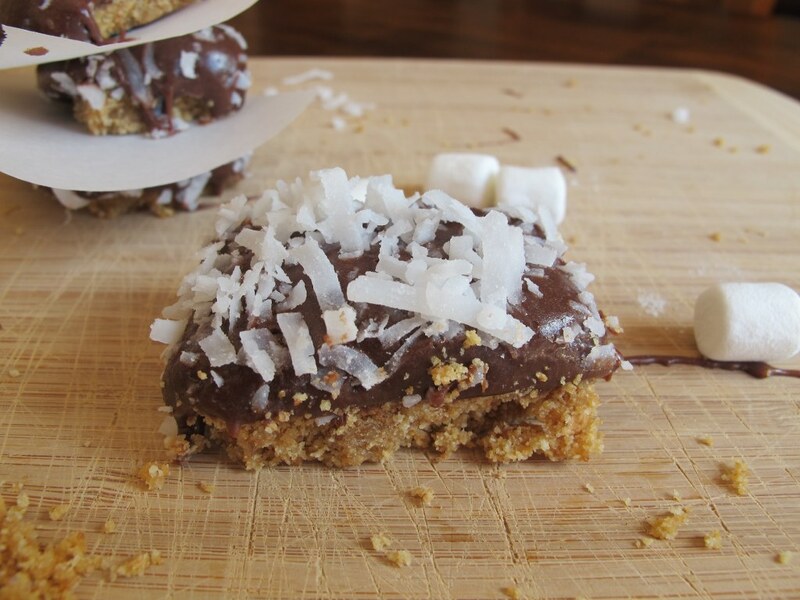 Or some Coconut Fudge Bars. As soon as you put cookie, cake, and brownie…I was all about it! Love the texture on these babies! These look so good. I have never heard of making cookies this way, but definitely want to give it a try because the combination of chocolate cake mix and cream cheese sounds to die for! Do they end up tasting at all like cheesecake? Yum, I love how thick and puffy these cookies are Tina 🙂 I’m all for chocolate-y ooey gooey cookies too and these look so incredible! First off, thank you for your support of my blog. Thank you for leaving the link to you site in your last comment because I have been trying to find your blog for so long! 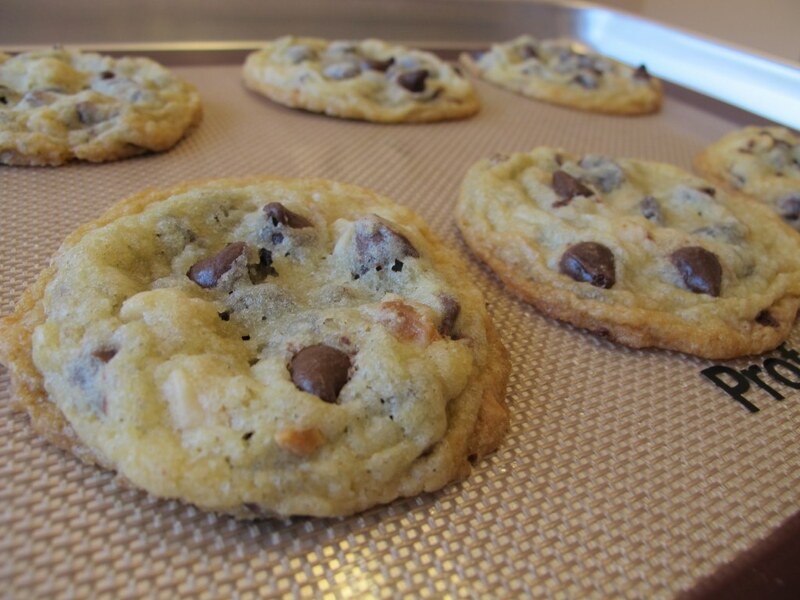 Gooey cookies are something I’ve never tried, but sound seriously amazing. Pinned! Wow, I HAVE to try a cookie with a name like Chocolate Gooey! And they’re so easy. A win-win…thanks for sharing! P.S. Love the new watermark your photos! Thank you! Glad you stopped by. 🙂 Have a great weekend! OK yum – this looks so delicious!! And I love how simple they are! These are mad tasty…one of my favorite. 🙂 Thanks for stopping by!